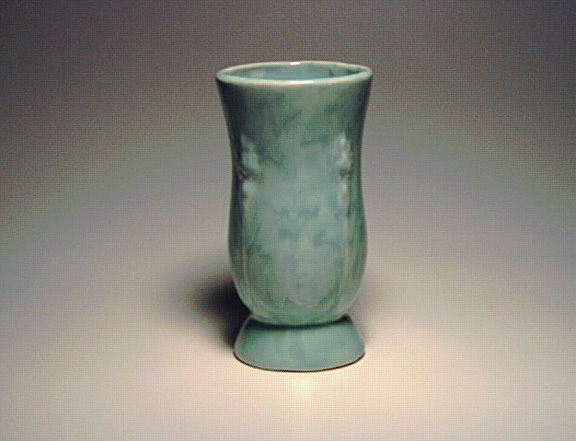 Description: Shape #502 Brush mottled glaze vase. High gloss. 6" tall.